With 7 years experience as a meat cutter and meat department manager, I have learned every aspect of cutting and selling meat. Ground beef is the most versatile beef ingredient, making it the most commonly purchased beef item around the world. But why does ground beef turn brown in the middle? 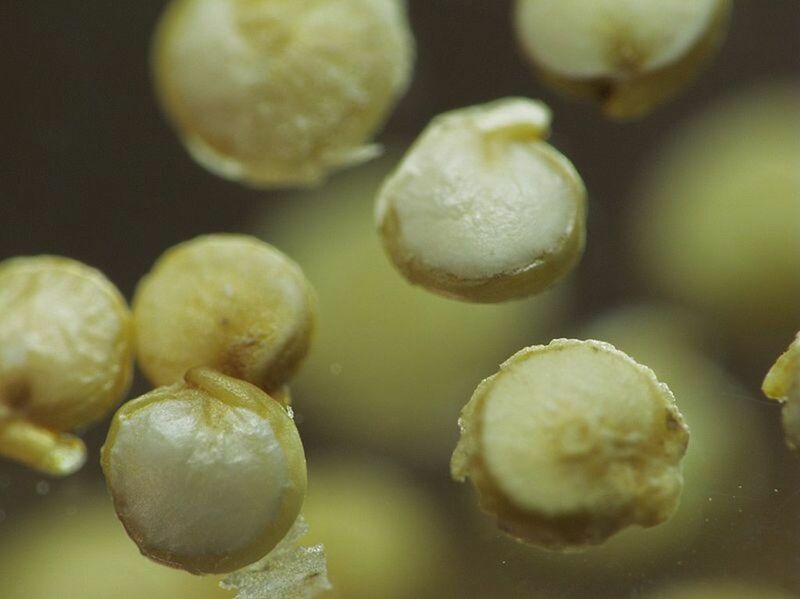 First, I'll go over why it is turning brown and then we'll take a look at how failing to follow FDA regulations and how common procedures currently used to grind beef can attribute to this browning effect. We have all purchased ground beef, only to get home and discover that it is brown or darker than expected in the middle. However, this does not always mean that it is ruined. That pretty red color you use to judge the freshness of meat is not blood, as many might think. That red color that is formed is actually the result of water that mixes with the proteins in the meat. 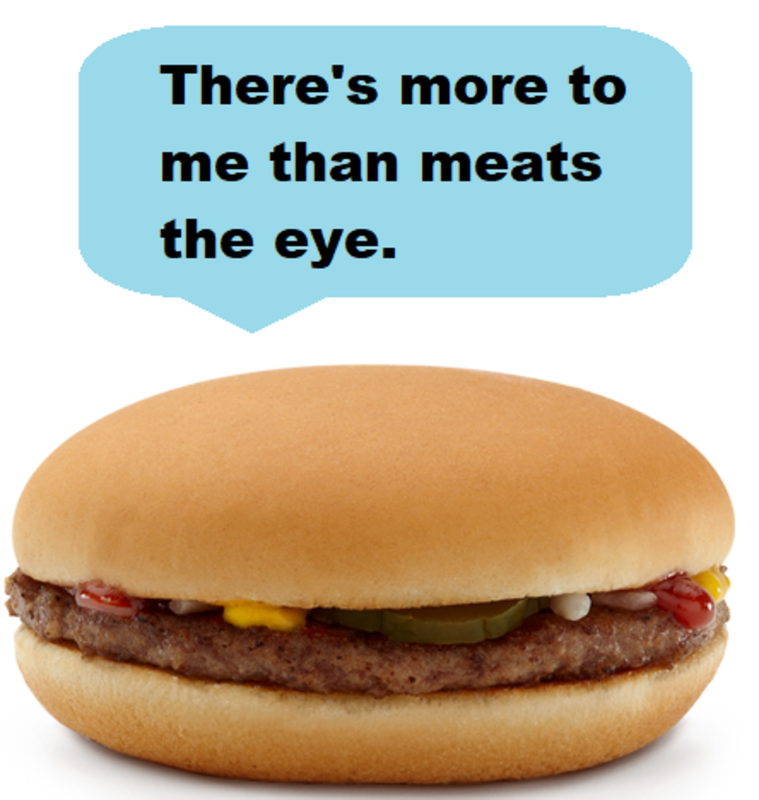 Believe it or not, the redness of meat has nothing to do with freshness. As an experienced meat cutter, I have opened countless amounts of beef that were as red as a ruby but already ruined due to overexposure to heat and other reasons. That being said, the odor of meat is often a better freshness indicator than redness. The transformation from the reddish color to the brownish color you are seeing is a result of "oxidation and reduction" reactions. Oxidation is the loss of electrons during a reaction by a molecule, atom or ion caused by the increase of oxygen. Reduction is the gain of electrons during a reaction by a molecule, atom or ion caused by the lack of oxygen. Simply put, when proteins in meat (oxymyoglobin) are deprived of oxygen, they turn brown. The reason this most often occurs in the middle is that the meat is compacted so tightly that oxygen is pushed out to the surrounding areas of the package. This also happens when meat is cut, denatured (microwaved) or contaminated, because the atoms, molecules or ions are being altered from their original state. When meat is ground, it changes the oxidation state of the meat. If you would like to see this process in action, buy a pound of ground beef and spread it out over a sheet of aluminum foil. 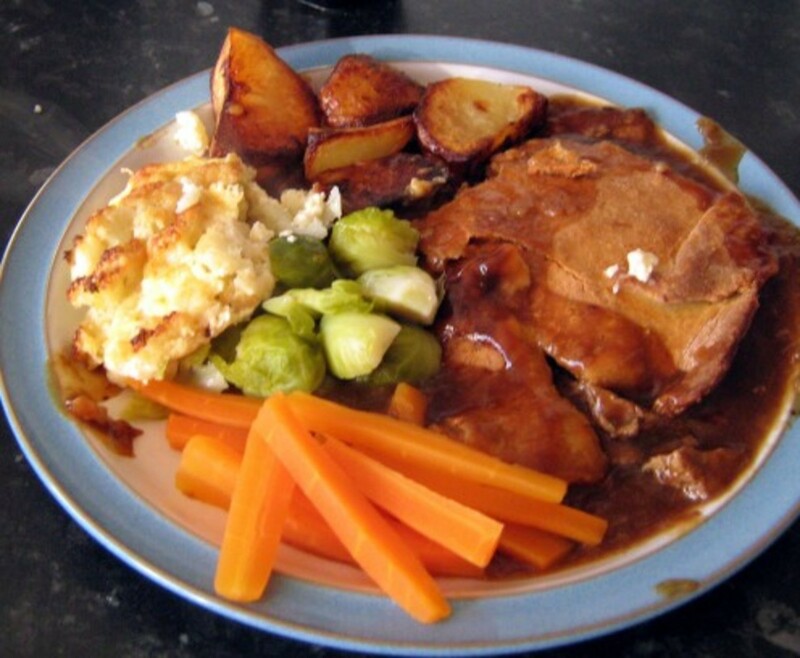 If it has started to turn brown in the middle and is still edible the meat should gradually regain some redness due to oxygen being reintroduced to the hydrogen and proteins in the meat. In many instances, browning meat can actually be a sign of tenderness. Over time, enzymes within the meat break down and make the meat more tender, a process referred to as "aging meat". A lot of cooking shows agree that aging meat is one of the best ways to tenderize the meat before cooking it. Don't always assume your meat is ruined just because it has a brownish color in the middle. If the outer layer is still significantly red, chances are, your meat is simply tenderizing itself, which kinda means that it is technically more valuable than freshly ground beef since aging takes time and time is money. This goes for steaks and roasts as well. 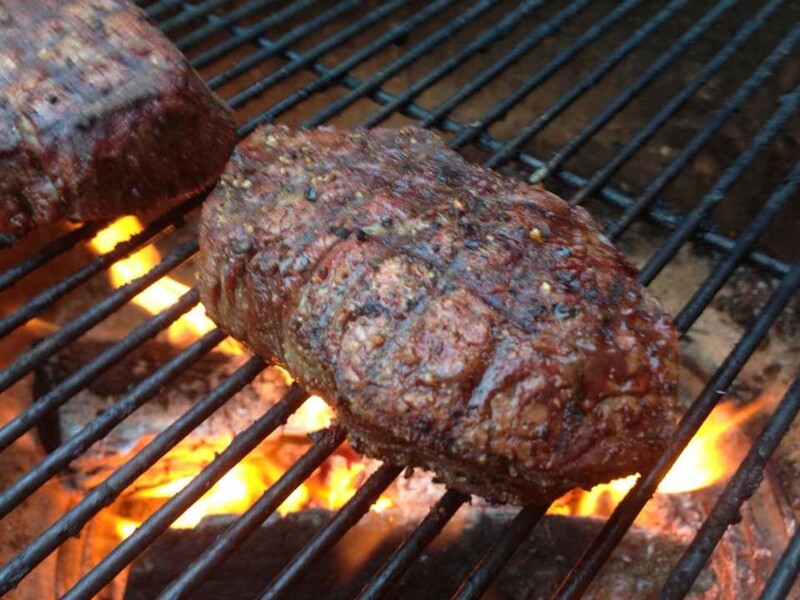 If your steak is turning brown, but still has redness on the outer edges, it is probably still edible. How come prepackaged beef doesn't turn brown in the middle? There are a couple different reasons for this. If you'll notice next time you look at prepackaged beef, it is usually loosely ground. In other words, it is not as dense as ground beef you would find ground at your local grocery store. Another reason is prepacked meat is vacuum sealed. The vacuum seal prevents the oxygen from seeping out through seams that manually wrapped packages usually have. To cover all bases, I do need to state that any and all meat you buy should be given a smell check. Brown is not a problem, but brown and sour can lead to food poisoning or other bacterial infections. If the meat smells sour, don't devour. FDA regulations require ground beef to contain 73% lean beef and 27% fat. Ground chuck must contain no less than 80% lean beef and no more than 20% fat, while ground round should contain 85% lean beef and 15% fat. Sounds OK, right? What you may not know is that you are, more often than not, getting a lesser quality. If you're not buying prepackaged ground beef, you are probably getting a wide variety of different qualities. While the FDA is supposed to inspect each institution and make sure that each meat market/department is keeping an accurate grinding log, it is virtually impossible to enforce all of their regulations and make sure individual meat department logs are indeed accurate. Grinding logs are mandatory for each grind produced, whether it be ground beef, ground chuck or ground round. The person grinding the meat is required to note the cuts of beef that are ground and manufacturer for each different cut that is added to that particular grind. Unless a specific specimen is sent to a testing facility, there is no way of knowing if the grinding logs are accurate. Do you see the problem with this yet? There is no possible way the FDA can accurately monitor each and every establishment that produces ground meats. Most of us like a good burger every once in a while, but what, exactly, are we eating? According to the lore surrounding the term "Hamburger", earlier forms of ground beef were noted to contain not only beef but pork or ham as well. There are many different cuts of meat that can go into a grind. The term 'ground beef' is very misleading in this example. 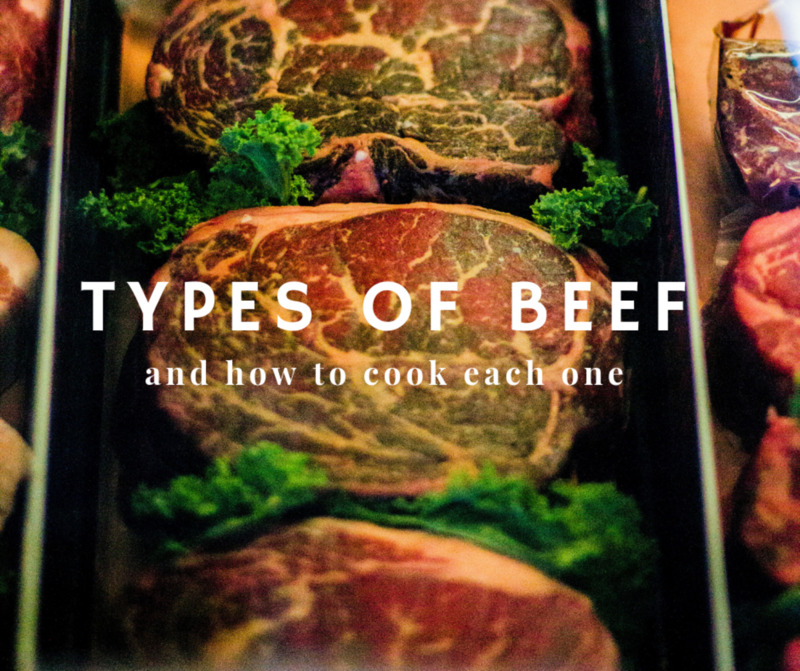 Pretty much any kind of beef can be ground, including, but not limited to: trimmings from sirloin, rib-eye, bottom round, chuck, and even cuts from the head of a cow. Up until four years ago, many meat markets and meat departments used what is called "Head Meat". 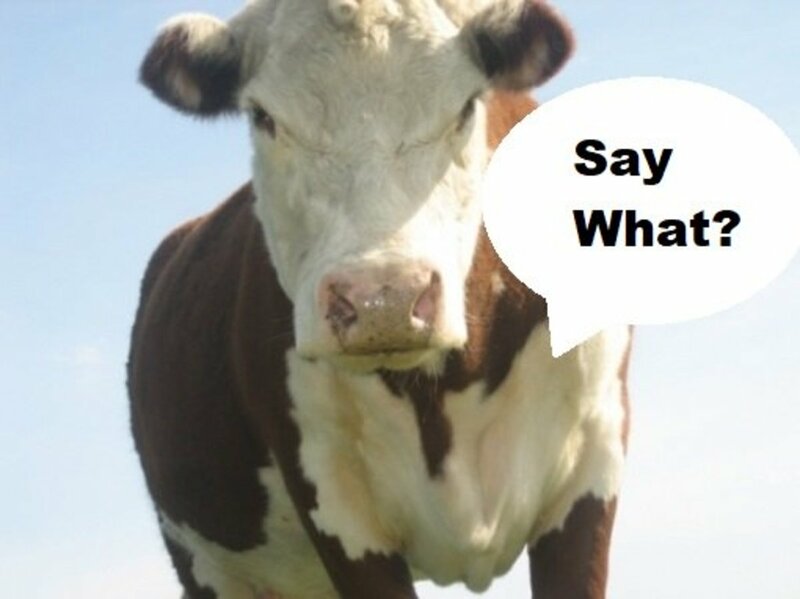 Now that terminology might concern you, but don't be alarmed - it's actually only the meat from the head of a cow. Did that surprise you? Yes, it is actually meat that comes from the head of a cow. If you have ever purchased ground beef, you have most likely eaten head meat. Head meat is used in large manufacturing plants to be ground and put into tubes and is also sold in solid 60 lb blocks to cut up for grinding. Since 60 lb blocks of head meat have to be cut into strips before they are able to ground, many meat markets have bypassed the head meat option because it is more convenient and time efficient to buy meat in tubes for grinding. Since head meat is included in tubes as well, any route you choose will still probably result in you getting head meat unless you buy prepackaged beef. Aside from eating meat from the head of a cow, there are other things you may not know about the product you are buying. If you aren't buying prepackaged beef, you are most likely getting a lesser quality of meat, meaning you may be getting beef that is less than 73% lean. Each meat market is required to have a fat content calculating machine, but these machines are seldom used. 1 out of every 100 meat departments may use them, and that is still a pretty generous approximation on my behalf. It simply takes too long to test each batch that is ground throughout the day. If these fat content calculating machines were used for each grind, most meat departments would spend upwards of three hours testing the fat content of their grinds on a daily basis, which means they would be paying someone around $30 a day to check the fat content of ground meats. It just doesn't happen folks. That being said, let's talk about freshness. Each market cuts meat on a daily basis. The trimmings, that come from the different cuts of meat that don't look good on a steak or roast, go into a meat lug (a square, 10-gallon plastic container) for grinding. Every meat market is going to have leftover meat in a lug each day unless they opt to throw it away, which most don't if they can get away with it. This means some grinds are going to have day old meat ground into them the next day. To top it off, most trimmings that are placed into the lug are often only 40 to 50% lean beef which significantly reduces the quality of meat in your ground beef if leaner cuts are not added to balance that ratio out to the percentages required by the FDA. And lastly, as it pertains to beef that is not prepackaged, some of the shadier meat markets do not mind putting other types of meat into a grind, such as pork fat or pork trimmings. I know you are thinking "No way", but yes, this does happen. You can never be certain this doesn't happen unless you buy prepackaged ground meats. Ground chuck is supposed to be, exactly what it sounds like, ground trimmings from a roll of a chuck. Chuck, or more specifically, chuck rolls are premium cuts of meat that generally range in cost from $3.30 to $5.00 lb throughout the year. Most meat markets have a retail markup of 30% on the meat they grind. 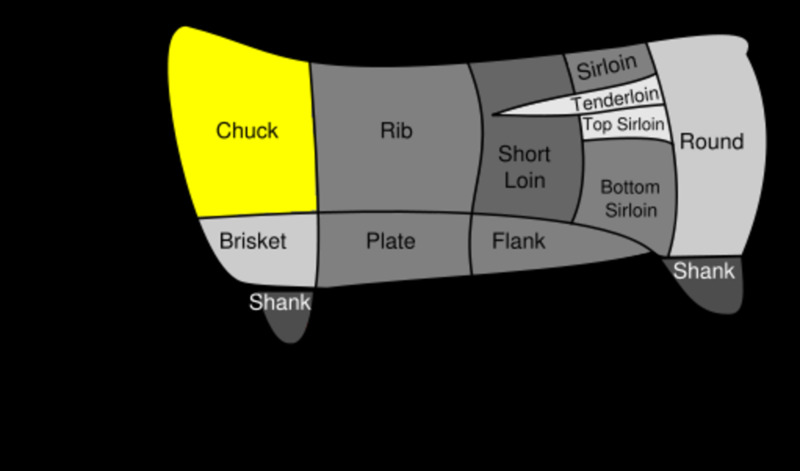 In order for meat markets to make at least 30% on the ground chuck, the cost to the customer would need to be, at the minimum, $4.71 lb, and that is assuming the chuck roll was purchased for $3.30 lb, which isn't the case year round. If you are paying less than $4.99 lb for ground chuck, more than likely, you are not getting true ground chuck. Potentially, you could get true ground chuck for less than $4.99 lb, but the biggest problem with that is that lower quality meat can be used to produce a lean grind at a higher profit margin for the meat market and that is almost always what happens. In an effort to support this fact so that you may understand it's authenticity, consider the fact that when butchers cut and trim meat there are lean trimmings that can be used to grind ground chuck. These trimmings come from a higher cost cut of beef. In order to meet gross profit margins, meat markets use leaner trimmings to grind either chuck or ground round. Sealed tubes of 80% lean, 20% fat fine grind can be purchased for $2.32 or more per pound versus a chuck roll costing around $4.00 lb, on average. Think in terms of maximum profit. If you could make $1.70 more per pound and produce a similar product, would you not? I would be willing to bet that if you look at the ground chuck available in your local grocery store, you would see an accompanying label, stating that it is an 80/20 or 81/19 beef product, not ground chuck. So what is in ground chuck? In essence, it just a leaner version of what we established for ground beef. Very rarely is it actual ground chuck. What Kind of Meat Is Used In Ground Round? True blue ground round is, specifically, meat from the round portions of a cow, including bottom round, round flat, an eye of round and top round. They are all essentially the same cut with differentiating appendages of meat connected. 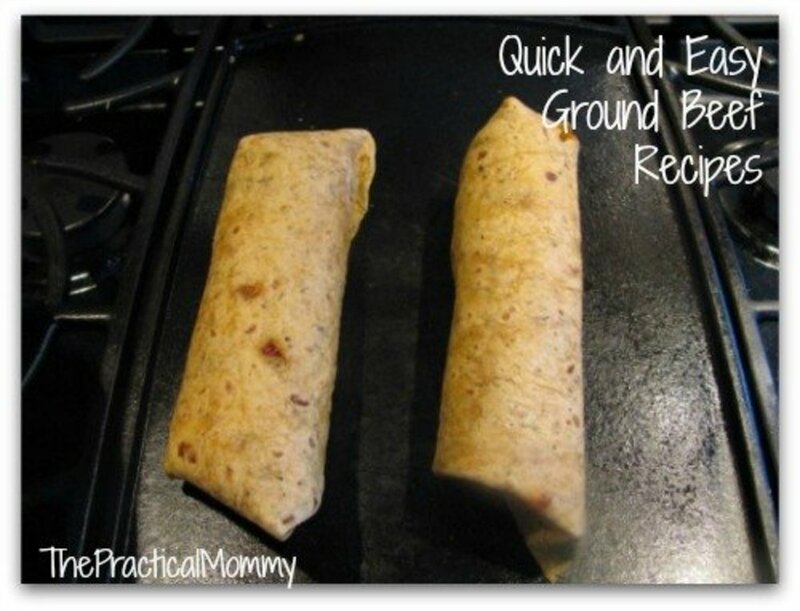 Ground round is actually one of the safer bets when it comes to meat that isn't prepackaged. The round portions of a cow can be purchased for about $2.35 lb and higher. If you have ever purchased ground round, you know that it usually costs quite a bit more than ground beef or ground chuck, which is, honestly, a price gouge to the customers, considering ground round can often be produced at the same cost as ground chuck or less in many instances. Ground round is actually the biggest money maker for markets as it pertains to the grind sales. That being said, most meat markets do not mind spending $2.35 lb for cuts of meat to make ground round. There are tubes of 85% lean 15% fat fine grind that are used in some meat markets that aren't necessarily true ground round products. And yes, those probably contain a bit of head meat as I discussed previously since they come from a manufacturing plant. Red doesn't necessarily mean fresh. The odor is most often the best indicator of freshness. Additionally, there is no sure way of knowing what cut of meat is in your ground beef unless you buy a loin of beef and grind it yourself. The upside is, there has never been any study that proves head meat is more harmful than any other cut of beef. It's still kinda creepy if you think about it though. I do not wish to deter anyone from eating ground beef. The sole purpose of this article is to educate and provide you with all the information you need to make an informed purchase. Dan Harmon asked Exactly what i was thinking here! Not necessarily. There is less of a chance of tampering or alteration if the meat is pre-packaged. Remember, pre-packaged meat hasn't been around as long as meat packaged by your grocer. In other words, if you've been eating meat from the same place for years, you have constructed a taste memory. And I'll be the first to agree that pre-packaged meat does, often, seem more dry, but like I said, I have been primarily a patron to local grocers my whole life. I still buy local ground beef, for the sole fact that it hasn't killed me or made me sick yet. I just usually have the market grind it out fresh for me. If I'm understanding correctly, pre-packaged meat is likely preferable to that ground by the grocer. And yet whenever I buy any it doesn't seem nearly the quality. Or am I mistaken in thinking that the small packages made of foam and plastic wrap are ground by the grocer?